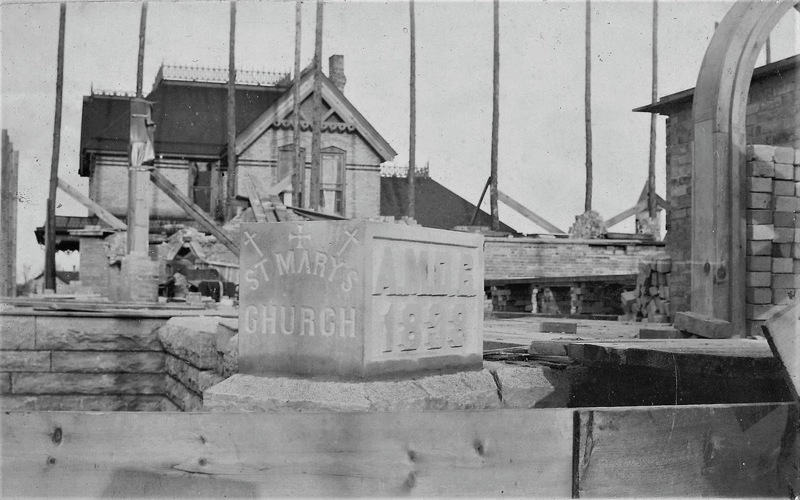 The corner stone for the new St. Mary’s Church was set in 1898. Kaukauna Times photo. KAUKAUNA — The April 29, 1898 Kaukuana Times noted the placement of the corner stone for the new St. Mary’s church. The paper reported that the time capsule included a copy of the Kaukauna Times, Kaukauna Sun, the Chicago Herald, Milwaukee Sentinel and several other papers along with a list of the members of the church. The completed church will cost upwards of $40,000. Read more, including a report on the landslide victory for the new mayor, in the latest Kaukauna Time Machin blog by Lyle Hanson. HERE.